I have been a runner since, all my life? I was a champion sprinter in primary school and competed at the State Championships. At school, I loved the 100 & 200 metre sprints and as I grew older I competed in the 400 & 800 metre races. Even though I would win first place in these events, I didn’t enjoy them as much as a good sprint down the 100 metre straight. I have a very busy lifestyle, striving to live to the fullest each and every day. After a hectic day, if I’m feeling stressed or overwhelmed I lace up my running shoes and hit the road. Because no matter how extremely exhausted or stressed I may be, this is the best cure to clear my head and to again feel strong and energised. The more physical activity I do the healthier I feel. I create a continuous loop of health and well-being for myself by my lifestyle choices. Running keeps me mentally and physically strong. I am motivated by hearing other peoples fitness journeys. I have inspired many non-runners to give running a go. I love hearing about their running progress and just how much they are enjoying it. I am truly inspired by people who overcome life’s challenges and health problems. When they are able to transform their lives for the better, I’m motivated by these everyday heroes. That way I never finish a race disappointed, for me, it’s about participation. By being there on the day to support and high five people I may have encouraged to run their first race. The night before: I ensure dinner is made up of carbohydrates, includes pasta and vegetables, to achieve maximum carbohydrate storage. Pre-race: Fuel is bananas as they contain a healthy dose of potassium. This is important for long-distance runs or in hot Rocky temperatures when I lose valuable minerals through perspiration. Listen to your body!!!! A niggle is your body telling you something for good reason. Never push through joint pain during exercise! You’re not meant to feel pain in the joints (knees). If you have muscular pain or stiffness, I would encourage you roll out, gently stretch or try some yoga. All those new runners who are pushing themselves outside of their comfort zones. I love hearing weight loss stories and how people are now physically able to run for the first time in their lives. Running does so much more for the body than just releasing sweat! Running is not about how far you go, But how far you have come…keep moving forward! 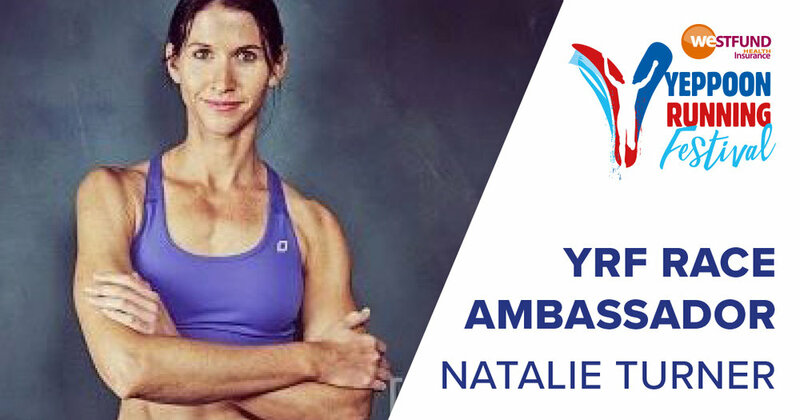 Many thanks for your time Natalie and all the best in the 5km from everyone here at Team YRF.